While you might think the World Wide Web is the preserve of the young, studies show older generations are now muscling in on the action. Research by the Office for National Statistics in 2018 found that 80% of adults aged 65- 74 regularly use the internet, a significant increase from 52% in 2011. Hands free control makes it simple for silver surfers to access phone contacts and make a call, allowing them to keep in touch with friends and family with ease. It also means they are free to do other things such as cooking or cleaning around the home while chatting through the speaker. What’s more, with a quick command, a contact can be called in the event of an emergency, offering extra peace of mind for elderly users. Voice commands make it super easy for the less tech savvy to utilise the functionality of their smartphone too. Instead of having to fiddle with apps that can be tricky to use, a simple verbal instruction allows the user to access a myriad of functions. This is especially handy for those with mobility, vision, or dexterity issues. They can search the internet, play their favourite album, or set a timer or alarm without having to touch the handset. The possibilities are endless! Ever wished you had your own butler or personal assistant? Smart speakers make that dream a reality. 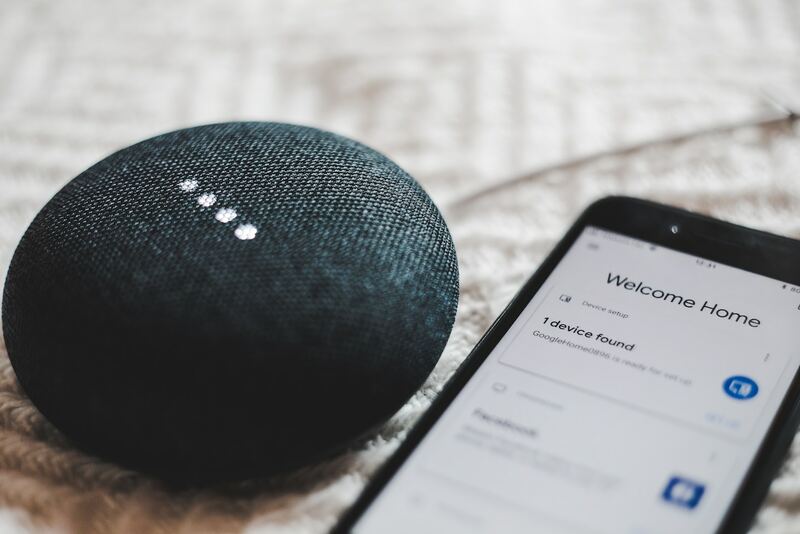 When synced with other connected home products (such as smart lightbulbs, smart plugs, and smart heating controls), a smart speaker can carry out menial tasks – things like turning heating, lights and electrical appliances on and off. Especially great for chilly weekend mornings in bed when you don’t want to crawl out from under the duvet. Unfortunately, functionality doesn’t extend to bringing you a cup of tea (yet). Whether you’re seven or seventy, smart speakers can provide hours of entertainment. There are games available to play via voice commands, and Alexa can even help you meditate. Users can also play audio books via smart speakers, which can be useful for those with poor eyesight that struggle to read. It can be easy to forget important dates at any age – a condition known in my family as ‘sieve brain’. People suffering from ‘sieve brain’ need worry no more, as the Google Assistant has your back. With simple voice commands the smart speaker can remind you of important events, such as that doctor’s appointment or anniversary. Are you a tech savvy silver surfer? Join the conversation on our Twitter and Facebook channels.